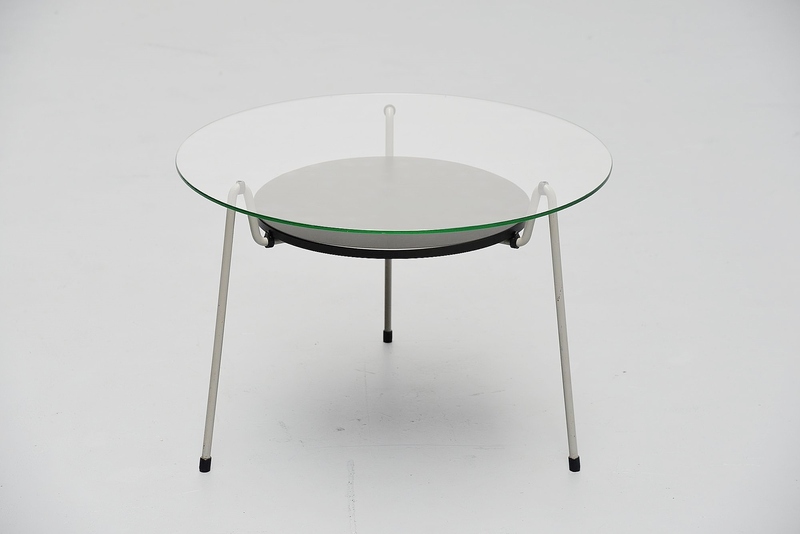 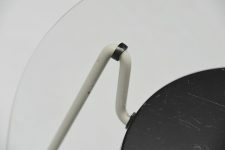 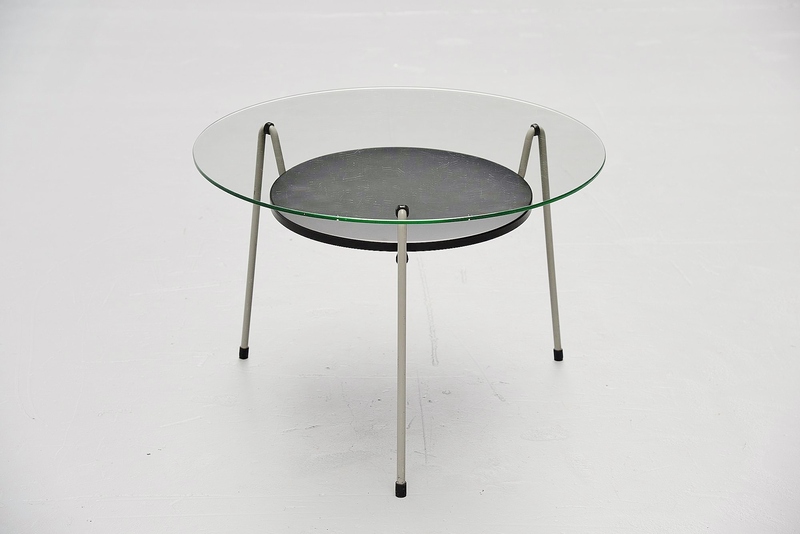 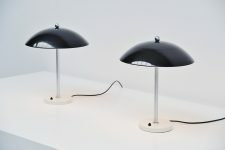 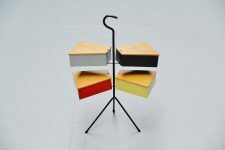 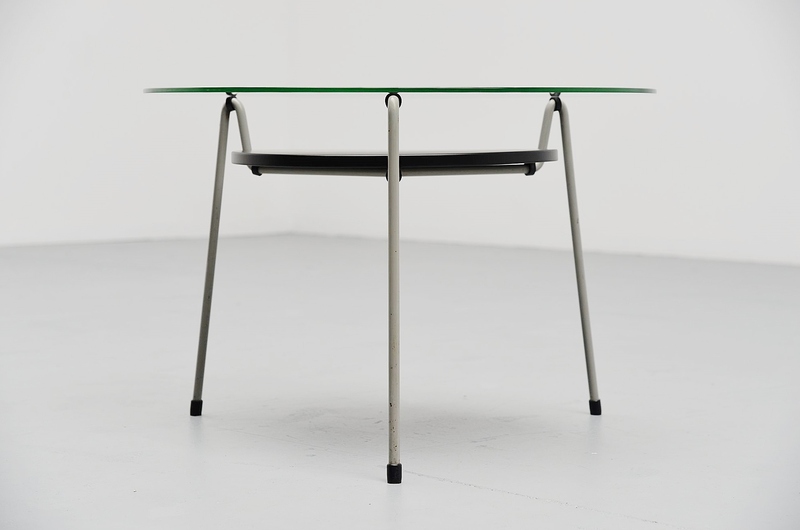 Mosquito table model 535 designed by Wim Rietveld for Gispen Culemborg, Holland 1953. 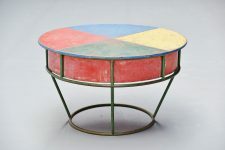 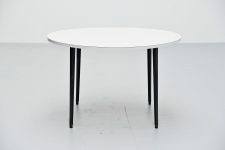 This very nice modernist table is in excellent original condition. 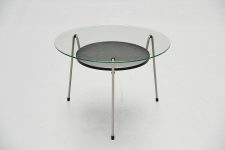 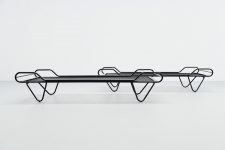 This has an industrial grey lacquered solid metal frame and a black lacquered metal magazine tray. 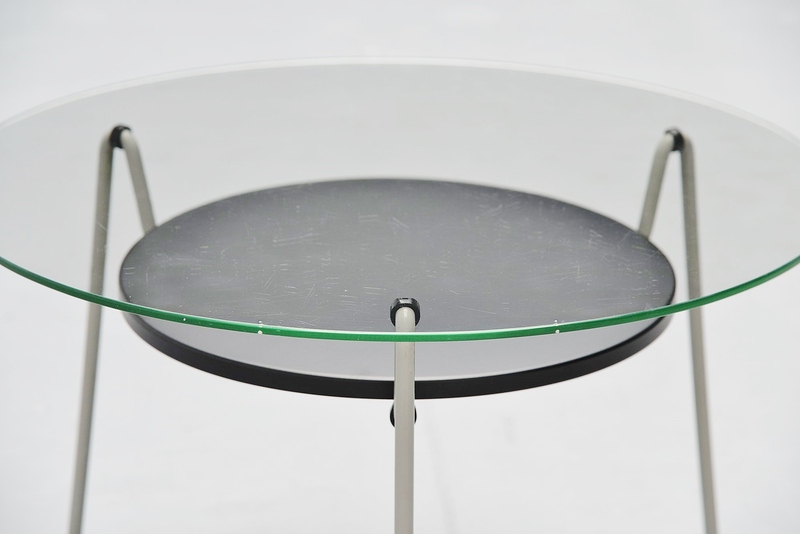 Original glass top in good condition not chips or cracks just some normal surface scratches. 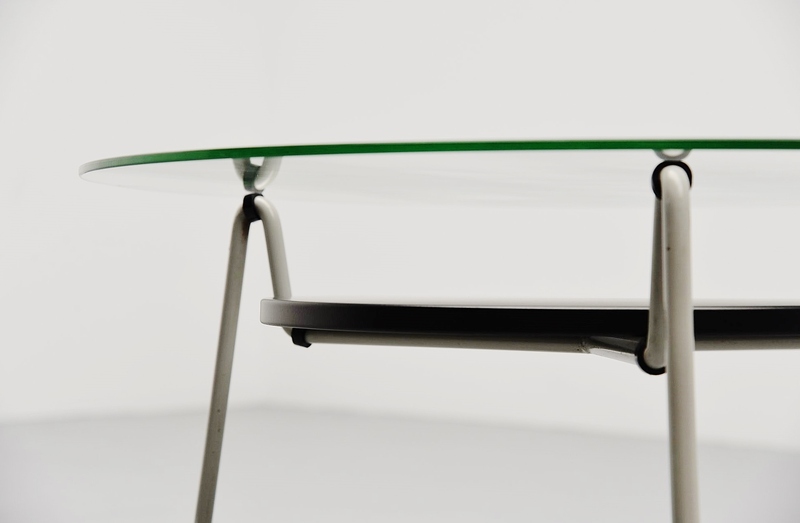 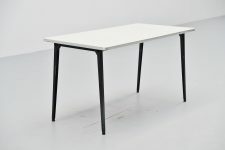 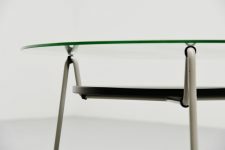 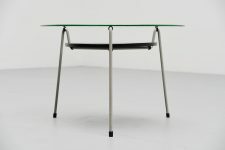 Very nice subtle table that would fit in any modern home or interior. 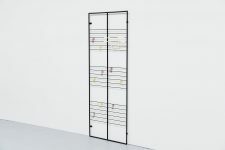 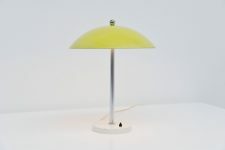 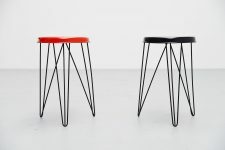 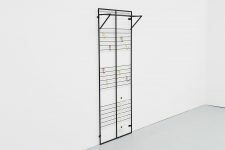 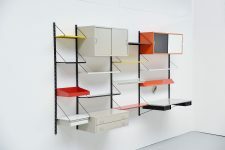 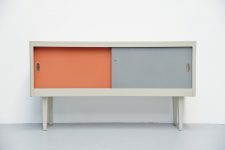 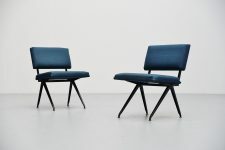 We are specialized in the furniture designed by Friso Kramer and Wim Rietveld. 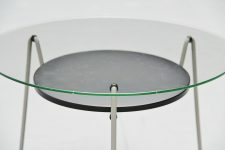 If you are looking for something special please let us know and we will update you on our current stock. 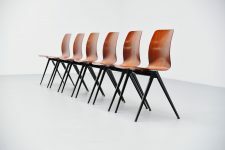 We also have a large selection of Industrial chairs and tables, always 750 chairs in stock of different types and price ranges. 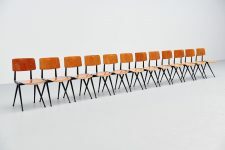 Several large lots in different colors available. 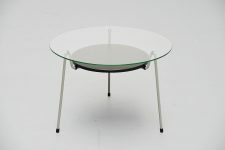 If you are looking for something specific just drop us an email.